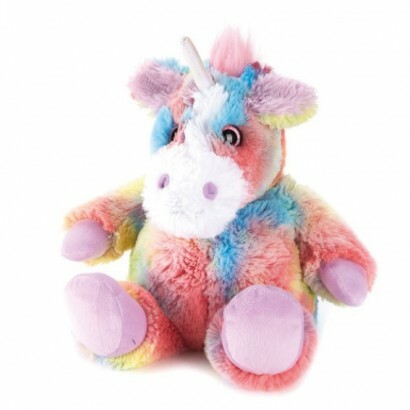 Look no further for warm and snuggly cuddles on cold winter nights than this adorable unicorn plush. 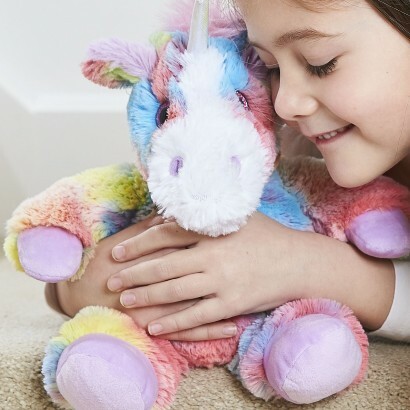 This sweet rainbow unicorn is filled with dried lavender and treated millet seeds; simply pop into the microwave for up to 90 seconds to warm and it's tummy will heat up emitting soothing warmth and a calming lavender scent. 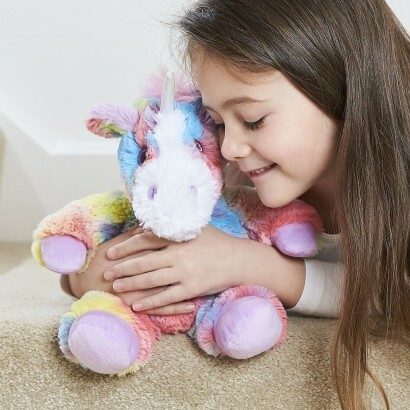 Ideal for cosy bedtimes, for easing aches and pains or for relaxing on cold evenings, this super soft unicorn is safer than a hot water bottle, although it's advised that younger children are supervised when in use.